Looking for the secret to love? It might be waiting for you on your meditation cushion. Studies have shown that mindfulness practices — including meditation — can help improve your self-awareness, boost your empathy and relieve stress. It makes sense, then, that mindfulness can make your relationship better. Here are five ways the practice improves your relationship. Mindfulness teaches you to listen to inner self, that part of you that will reveal what you really want out of life. Even in an existing relationship, your mindfulness practice will help you tune into what’s important to you, so you can request those things from your partner. For instance, if you notice that you need some alone time on the weekends to recharge, mindfulness can help you identify that. Your practice will also help you put words to your thoughts and emotions, leading to more balanced, open conversations. Researchers have found that mindfulness practices change the anterior cingulate cortex, a part of the brain associated with our sense of self. 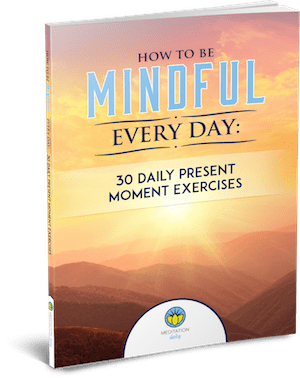 With practice, mindfulness helps you observe your behavior in real time, and redirect your attention back to something that’s more emotionally supportive and conducive to a healthy relationship. Numerous studies show that in as little as eight weeks, mindfulness changes how the brain regulates emotions. One of the changes happens in the amygdala, the part of the brain that takes over when you’re stressed and sends you into the fight-or-flight mode. Mindfulness practice actually shrinks the amygdala’s volume, draining it of power. A change in the amygdala like this is correlated to lower stress levels and lower incidence of anxiety. As mentioned above, the anterior cingulate cortex changes during mindfulness practice. This part of the brain helps with emotional regulation, so you’re less likely to burst out in anger at your partner. They’ll also be less likely to push your buttons — the “buttons” simply begin to disappear after a while. With so many distractions these days, it’s easy to get caught up in the latest controversial Tweet or a photo montage on Snapchat, but mindfulness can train your brain to remain in the present more often. You’re also less likely to zone out when your partner is telling you about their day. That’s because the posterior cingulate, which is involved in mind wandering, changes when you practice mindfulness. Dr. Sara Lazar of Harvard Medical School and her team found that the posterior cingulate thickens with mindfulness practice, meaning there are more neurons — and more power — in that area. Dr. Judson Brewer of Yale School of Medicine also found that experienced meditators show deactivation of part of the default mode network (DMN) — a region involved in daydreaming and self-referential processing. His findings, using fMRI technology, show that experienced mindfulness practitioners have an easier time remaining focused on everyday tasks, like conversations. Not only that, but mindfulness is designed to bring you back to the present moment. In meditation, you meditate on your breath, the moment, a mantra or something else that’s happening in present time. Rather than focus on the past or the future, mindfulness teaches you to focus on what’s happening at the moment. With practice, this pattern spreads to every part of your life. Compassion and empathy help you to understand others and put yourself in their shoes. Mindfulness can help you increase these characteristics in just a few short weeks. For instance, a 1998 study found that Jon Kabat-Zinn’s eight-week Mindfulness-Based Stress Reduction (MBSR) program had a significant impact on the empathy of medical students. Another study in 2005 found that MBSR increased self-compassion in participants. This increased empathy and compassion for yourself and others encourage you to slow down, look at things from your partner’s point of view and move forward with more love. Whether it’s meditation, yoga, breathing exercises, Qigong or something else, your mindfulness practice helps you to get to know yourself better. As a result, you might find yourself able to relate to the people around you in a more constructive, compassionate way. 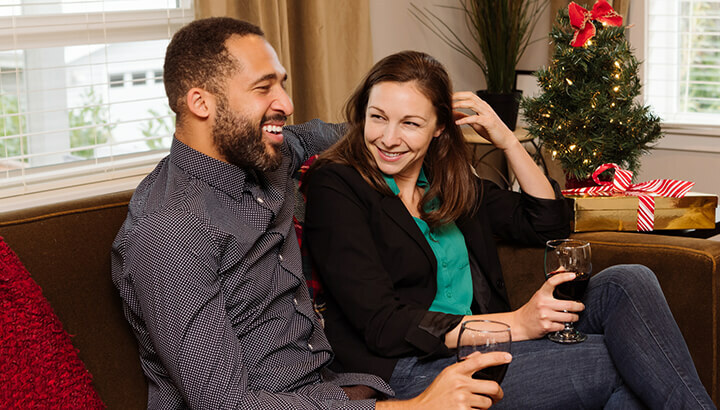 When you notice the emotional connections you have with certain memories, words, or actions, you can begin to — compassionately and with empathy — notice your partner’s triggers too. When you figure out what triggers their negative responses, you can avoid them and have more productive conversations from a place of neutrality rather than stress, because of course, you’ve been practicing mindfulness and know what it’s like to live with less stress in every part of your life. How has mindfulness improved your relationships?